Hope you had a good weekend and your Monday is off to a great start. 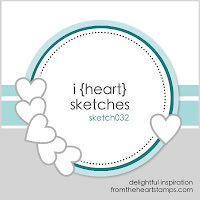 There are some exciting stuff going on over at From The Heart Stamps blog. 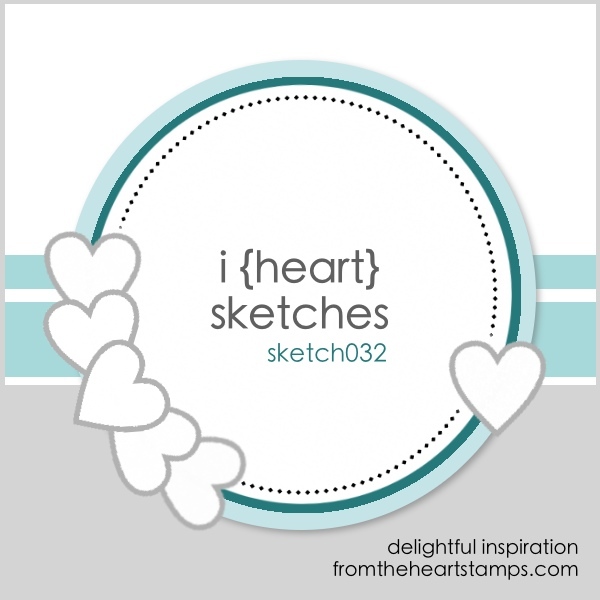 First, is our Sketch Challenge #32!! I really liked this weeks sketch! Click HERE, to get all the details. Looking forward to seeing you over there!!! Calypso, your card is stunning ! Love your coloring and the wonderful DP. 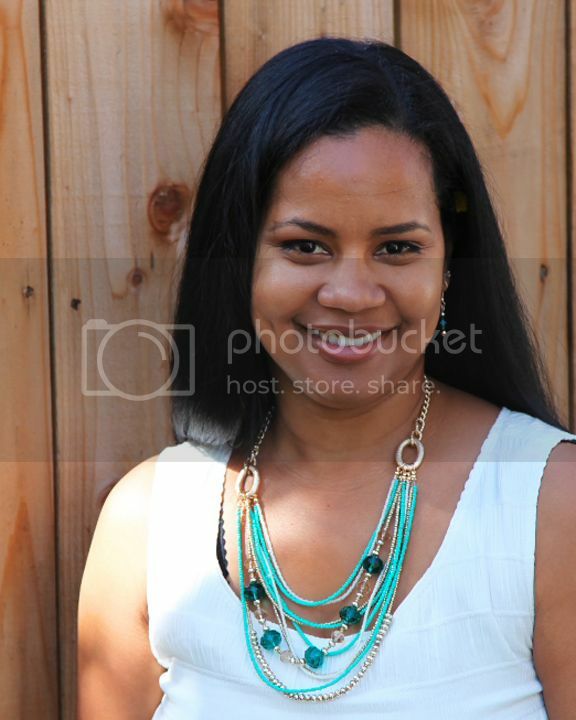 This is so pretty and so cute! I love the colors and all of the flowers! The papers and embellishments coordinate perfectly! Amazing coloring, too! This is so cheerful and sweet, love these papers and this adorable image. I would like to thank you for entering my 'C... is for challenge' blog and I wish you good luck in the draw. Great and very cute card, well done! Thanks for joining us at The Crazy Challenge.